Upon arrival city tour of Dubrovnik. This ultimate tour is made for visitors who wish to take in all the main sights and explore the architecture and history of this famous city. 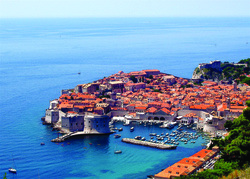 Accompanied by our experienced guide, the story of Dubrovnik's golden age will unfold before your eyes. After the city tour, we’ll have organized lunch at restaurant situated in the very heart of the Old Town. After the lunch, guest will have some free time to explore by themselves and transfer to hotel. Dinner at the hotel. Evening free. 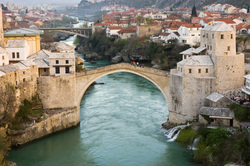 On this tour we will take you to Mostar, another exiting destination in neighboring country Bosnia and Herzegovina. Transfer in front of the hotel at 8,00, a short drive up the Adriatic coast and a turn towards inner land lead us through the valley of Neretva river to our destination Mostar. 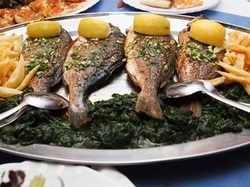 After the guided tour of the town you will have Organized lunch at restaurant near Neretva river and some free time for strolling around, to enjoy and experience sights of this town of poetry, narrow streets and old monuments which will tell you a story about ancient past…Departure at 16,00 . Dinner at the hotel. Evening free. Breakfast at the hotel. Transfer from hotel at 9,00. Boattrip to Elafiti islands at 9,30. The Elaphite archipelago comprises 8 islands of which only 3 are inhabited. The islands are doted with pine forests, authentic villages and idyllic bays. You will discover the Elaphites island of Lopud, Koločep and Šipan. Lunch with wine during the excursion. Transfer from harbor to hotel at: 17,00 . Dinner at the hotel. Evening free. Breakfast at the hotel. Transfer at 8,30. 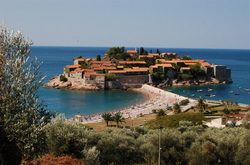 The Montenegro excursion will pass through the magnificent Boka kotorska bay offering exquisite view of the bay. Montenegro excursion then continues to Kotor for the guided visit of the town. 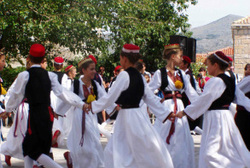 Kotor will also be a chance to make a pause in our excursion and enjoy in the refreshments. Afterwards our journey reaches Budva, one of the oldest settlements on the Adriatic where we will also have a guided tour and organized lunch in the beautiful local restaurant.Transfer back from Budva at : 16,00 . Dinner at the hotel. Evening free. Breakfast at the hotel. Transfer from hotel at 15,30 . Arrival at Botanical garden at 16,00 .The tour begins with a leisurely stroll through Trsteno's renowned arboretum. At over 500 years old and housing more than 300 species of exotic tree and plant life, the arboretum is widely acknowledged as one of the finest gardens in Europe. After an exploration of the botanical garden, the tour moves to A village “at the back of beyond” and yet only half an hour drive from Dubrovnik. Few traditional stone houses with hats of red tiled roofs dotted around sloppy terraced land. Landlords will entertain you to your heart’s content: with heart-warming homemade grape brandy and figs, meal cooked under the iron bell and village songs. And before too long, you’ll be clapping your hands and tapping your feet to the rhythm of jolly tunes, raising a glass of delicious wine and joining in a festive atmosphere in this country home surroundings. Transfer back to hotel at 20,30. Morning free. Departure from the hotel to the Cable car at 11,00 . 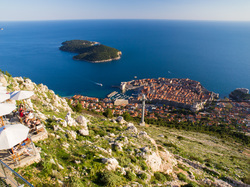 Be amazed with the breathtaking views of the Old City of Dubrovnik, the crystal clear Adriatic Sea, and the numerous islands...After these beutiful scenes we continue to The local vineyard and winery owned by the Crvik Family who grows two hectares of exceptional grapes. A unique opportunity awaits You here to taste some of the finest wines from this region! After winery (if we have time) transfer to the city of Cavtat to explore by themselves. Cavtat is currently favorite place of world's jet set, and it is quite normal to see some of the Hollywood stars sipping their coffee in the bar among locals and not being bothered by anyone, free time until when they’ll have transfer to airport.